Specifically, the introduction of occupancy, motion and day/night sensing components is revolutionizing the way businesses purchase and install fixtures. The units automatically sense movement or light using a sensitive, built-in element. When certain, pre-configured thresholds are met (due to motion or the presence/lack of light), the switch is engaged. This article provides an overview of benefits, applications and functionalities for lighting sensors. Sensors for lighting systems can be broken down into two types: light or motion. The first type of sensor – also known as a photocell, dusk-dawn or day-night sensor – is designed to monitor ambient light levels in the target area. When the amount of light reaches the sensor’s threshold, it activates (due to decreased light) or deactivates (due to increased light) the switch. When a motion sensor – also known as an occupancy sensor – is connected to a lighting system, it does not detect ambient light levels. Instead, it focuses on movement. These units can be further classified, based on the type of technology used to detect motion, such as light, radio, infrared (heat signature) or ultrasonic waves. During operation, the sensor emits signals, which are reflected around the target area. When the signal is disrupted, due to movement, the component activates the switch. Reducing false positives is critical for reliable operation, when using motion sensors. This is why some high-quality occupancy sensors come with adjustable settings, which allow operators to focus on very specific locations, while leaving out a nearby area. 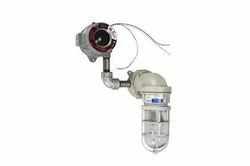 For instance, a garage lamp with a motion sensor can be configured to only target movements in the garage, but not outside (where stray branches, debris or animals could accidentally set off the system). It’s important to highlight that the use of lighting sensors in commercial office buildings can streamline compliance with the following standards: ASHRAE, IECC 2012 (International Energy Conservation Code), IGCC 2012 (International Green Construction Code) and Title 24 2013 Part 6 (CA Energy Standard). Lighting sensors for fixtures are straightforward and reliable, making them great additions to locations that experience fluctuating activity throughout the day, such as hallways or storage rooms. Moreover, the accessories are useful for preserving energy in remote areas that are not maintained or managed frequently. When incorporated with solar LED light towers, they can reduce unnecessary power consumption by only turning on the lamps when they are needed. Tip: To ensure a day-night sensor only operates during after-hours (between sunset and sunrise) a time-delay feature can be applied. For homes, installing dusk-dawn sensors for outdoor lighting, while incorporating a timer for one’s indoor lighting system is a very effective way to provide a false illusion of occupancy, which can be used to increase security and deter criminals at night. Where you install the sensor determines its effectiveness and scope. Photocells require open space for optimal operation, since the units cannot ‘see’ around large obstructions. Dark shadows from nearby objects casted over the sensor could prevent timely activation. For motion sensors inside offices, the lighting accessories are usually placed in hallways. Thorough detection can be achieved with multiple, overlapping coverage of the target area. If there are extremely large obstructions, such as cubicles, machines or equipment, it is advisable to mount the unit on the ceiling. Wall-mounted motion sensors are useful for spaces with short dividers. Lastly, it is not recommended to mount lighting sensors close to sources of vibration, including air vents (between 4’ to 6’ minimum).